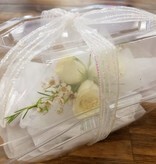 Home / Corsage with free Boutonnierre. Did she say yes? Then you need a corsage. 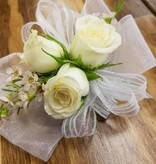 The Hen House specializes in making your Prom/Homecoming corsages extra special. 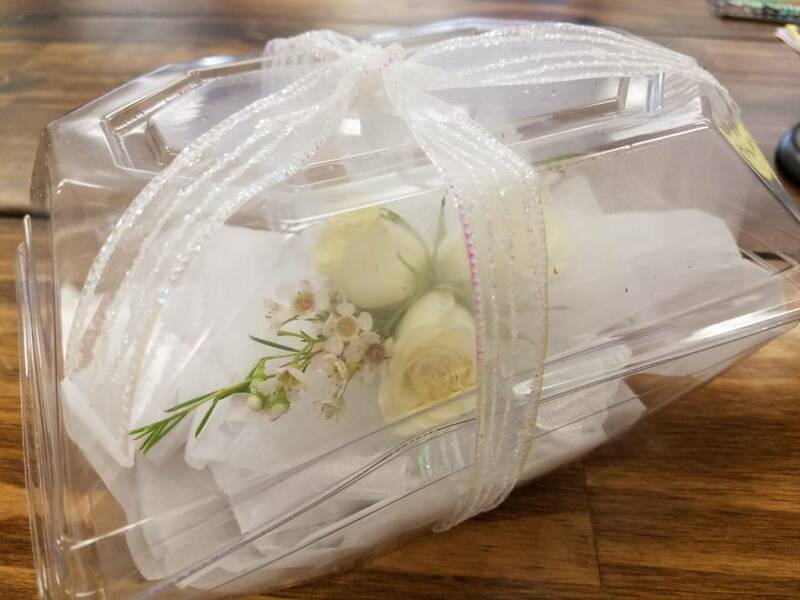 Tell us the color of the dress and the flowers you want and we will make it a corsage to remember. 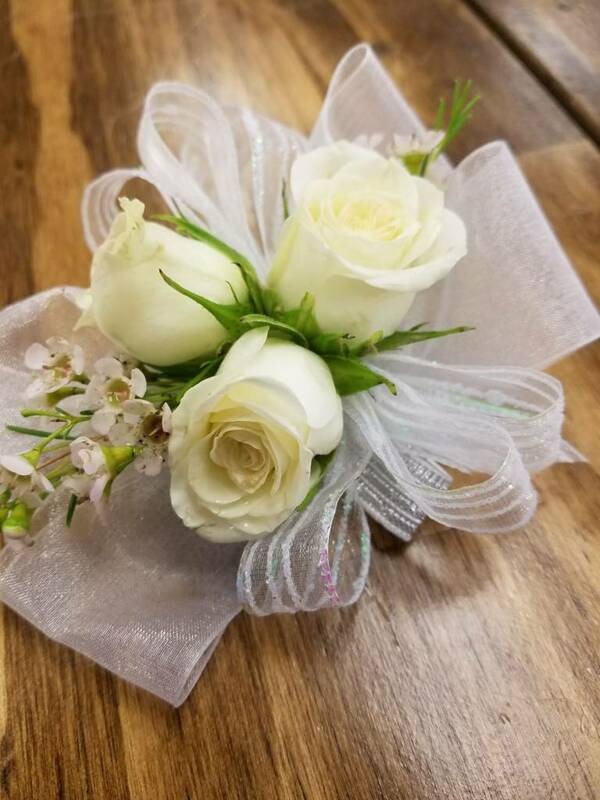 Each corsage ordered comes with a companion boutonnière for free.